Roof Repair in Hialeah Florida 33016 is an adventurous task. From small Residential Shingle roof repairs to Large Commercial Tile repairs Hialeah runs the gamut to keep the roofing industry on point. What we love in Hialeah is the ability to learn and grow with our community. As Hialeah experiences it's coming of age, industry and small business flourish. We are proud to say we are your local Roofing provider. 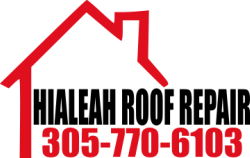 Hialeah Roof repair's employee are from Hialeah and know all about the area and the different way we can serve our community as a while. From maintaining a roof exterior to exploring a Hot attic in July we are prepared to provide the best service possible to out hometown.